I'm really digging the pacing of Final Fantasy X. It's taken its time to set things up, but also introduced the party members in a most timely fashion. I'm honestly not sure where the story will go, but I'm far enough into the game to get a general sense of what might lie ahead. As the game seems to have confirmed, Auron has access to something that allows him to travel through time. I assume this is Sin, but how exactly he is able to move backwards is beyond me at present. If I'm being completely honest, I was not particularly thrilled about having Tidus as the main character early on. He came across as rather obnoxious, decided to cop a serious 'tude when Rikku and her Al Bhed group came to his rescue, and somehow took to all his confusion and misfortune as being trivial the moment he saw Wakka playing Blitzball. He was stupid, brash and impulsive; even a bit whiny. Thankfully, his character has improved over the course of a few hours. Now that he's accepted the possibility that he might never return to Zanarkand, he's become a much more likeable character, and has presented a few moments of rather deep thought. I really like the way that I (as the player) am constantly exposed to two versions of Tidus - the version of him that is embarking on the journey, learning as he goes, and the future version of him who is reflecting on his travels with Yuna and company. One thing that stood out to me after only a few hours of play is the fact that Final Fantasy X is, by and large, quite linear in its design. That's not to say that I don't enjoy it. It's just that I feel most criticisms about how linear Final Fantasy XIII is are unmerited, considering this is nothing new to the series. As of right now, Final Fantasy X's battle system is my favorite of the four core games I've played. While I like Final Fantasy IV's battle system, it can present some really tense moments as I try to balance offense and defense, knowing that the enemy can still attack while I choosing my moves. I've messed up more than a few times trying to beat the AI in FFIV, which, in some cases, cost me a lot. FFX's battle system seemed a little strange a first, but in reality it isn't too far removed from that of the original Final Fantasy. And it works really well, so I'm not complaining. The soundtrack is quickly becoming one of my favorites. Some of the tracks may not be on as epic a scale of those in, say, FFXIII. But they certainly fit the atmosphere of FFX wonderfully. Though it is a 2001 release, the graphics and art style both look pretty good. In all honesty, I was never much a fan of the artistic direction Square chose for Final Fantasy VII. X has the right blend of realistic characters and stylized environments. The cutscenes are beautifully rendered as always, and the transitions between gameplay and cutscenes have proven surprisingly fluid. I expected the load times and transitional phases to be a bit longer, but the reality of it all has been a most pleasant surprise. It's been a while since this was announced, and I've simply neglected to make a proper posting about it until now. When I first saw the trailer for Theatrhythm Final Fantasy, I thought it looked kind of gimmicky, though certainly a neat idea for nostalgia's sake. But after a few trailers, the gameplay has me genuinely interested. I think the 3DS controls in a rhythmic style will prove a nice blend of the musical aspect with a basic combat system. I have no idea how many songs are going to be included in the game, but I think it's a really smart move on their part to include song selections and characters from every main game in the series. One thing I do hope they include in the final product is a 'sound test' or similar feature - even if I have to unlock specific songs with points earned in-game, it would be awesome to have a library of Final Fantasy tunes to go with me anywhere. 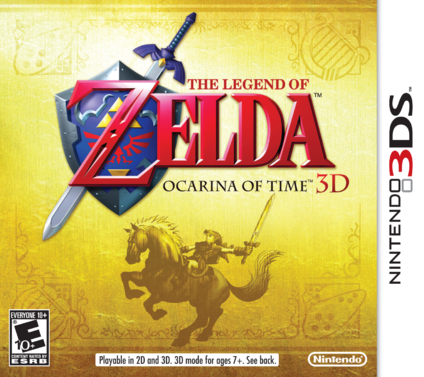 Ocarina of Time 3D is, by and large, everything you would expect of a good remake of a classic game. The story and mechanics are largely retained, though the latter opens up some new possibilities through use of the gyroscopic camera and touch screen. There's no denying that Hyrule looks infinitely better than it did thirteen years ago - not just because it's in 3D, but also because of the updated graphics. But the Legend of Zelda series have traditionally been split between two modes of play - free roaming, third-person perspective platform releases and the top-down dungeon-crawlers that graced the handhelds. Ocarina of Time 3D turns that concept on its head, but longtime fans of the N64 classic should know they are getting what is largely the same game. The graphics are pretty darn impressive. I can recall when the original DS launched and I was blown away that the graphics and character models could rival those found on the N64. Ocarina of Time 3D raises the bar another notch, walking a fine line between Dreamcast-quality and early Playstation 2-quality visuals. Not only have environments been spruced up with additional posters and lighting fixtures to make them more atmospheric, some of the character models have noticeably smoother animations. 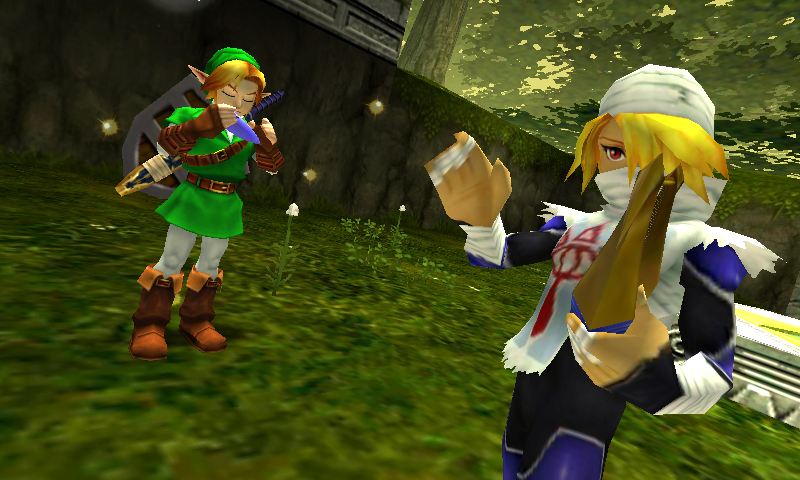 Instead of a robotic walk, Mido actually looks like he's frustrated when he stomps away to let Link go speak with the Deku Tree. The only real shortcomings are in some of the textures. They aren't featured too prominently, but if players look around long enough, they will notice some wall designs or environmental pieces that just don't stack up with the rest of the game's visual prowess. On the other side of the aesthetics lies the audio. The sound effects and soundtrack are basically the exact same as they were in 1998, though they have been cleaned up for the remake. It's a tricky scenario; on the one hand, Nintendo could have reorchestrated the soundtrack to make this reimagining of Ocarina of Time even more gorgeous. But in so doing, they run the risk of backlash from those who might feel they changed some of the classic tunes too greatly. Frankly, I don't think I would have contemplated this point so much if they hadn't included the fully orchestrated tune during the secondary end credits sequence. The control scheme takes a little while to get used to, even for those intimately familiar with the original N64 version. It's something that just comes with the territory in porting a console release to a handheld. The 3DS control stick allows for some slightly more accurate responses from Link in his movements and attacks. 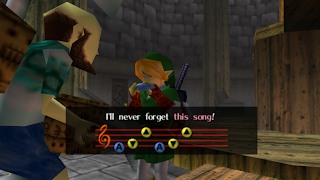 Despite the lack of C-buttons, the Ocarina still plays similarly via the X,Y,A,L, and R buttons. Aiming the bow or slingshot by moving the 3DS around is neat and all, but using the joystick to aim simply proves more convenient. The one odd factor, though, is how players assign items to the four buttons. The hover boots and iron boots have been moved from the 'gear' tab to the 'items' tab, which means no more pausing the game to swap these out. While the X and Y buttons prove just as natural feeling as assigning items to the C-buttons back in the day, the other two slots are on the touch screen. It's nice to be able to have four items plus the Ocarina readily available at any given time, but it feels rather awkward accessing these in a game that is otherwise not concerned with touch controls. There are two great new additions with the 3DS version of Ocarina of Time. The first is the ability to run back to Link's house in the Kokiri Forest and sleep in order to revisit boss fights Link has previously triumphed over. It's a feature that more games in the series should adopt, given how much fans tend to love Zelda boss fights. The second is Master Quest, a more challenging version of the game. Master Quest only ever saw release on the Gamecube, and is rather difficult to track down on its own. While Nintendo should be commended for including this as a bonus, it's a bit annoying that Master Quest cannot be accessed until after the game has been completed once through normally. Certainly, there are more than a few longtime fans of the game that wanted to see it in 3D and subsequently could have handled the extra level of challenge from the outset. All in all, it's a solid remake of what is arguably one of the greatest video games of all time. It has its share of ups and downs, trying to branch out and experiment with the technology of the handheld in some places, but also playing it safe in others. It's not as drastically upgraded as something like, say, the DS remake of Final Fantasy IV. Still, Ocarina of Time 3D looks downright gorgeous and plays nearly as well as it did in 1998. For longtime fans, this is a nostalgic experience that certainly merits consideration. For anyone who somehow missed out on Ocarina of Time the first time around, you are in for a real treat with this 3D remake. "Bid farewell to your bloodstained past..."
Odds are if you are a fan of the Resident Evil series, then you've already seen the reveal trailer. But if not, here it is in all its glory. I for one am pretty darn excited for this game - it looks like a nice blend of the more action-heavy recent entries and the classic horror that made the series famous in the first place. Between this, Revelations, and Operation Raccoon City, 2012 looks like an awesome year for Campcom's zombie franchise. Within the first episode, the increased production values for season two are made quite obvious. The animation - which was certainly impressive in season one - is now near the caliber of a stand-alone film. The style of the soundtrack is retained through all-new pieces, while some heavier rock and electronic sounds match up perfectly with the eastern European setting. Where the two differentiate is through their approach to the story. 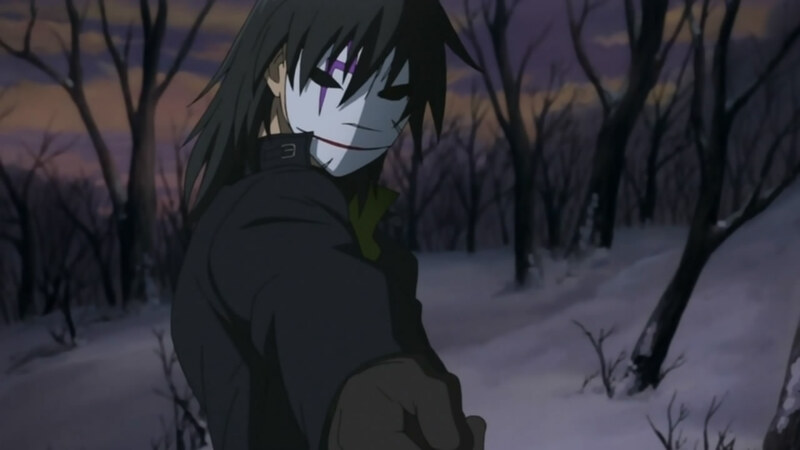 Season one concluded with Hei stopping the Syndicate's plans and then disappearing in the ensuing confusion. Two years later, the story picks up with Suou Pavlichenko, her brother Shion, and their father in Russia. Though the house seems relatively normal, it is made clear early on that things will not remain calm for long, as multiple organizations move in on the residence, Shion their main target. Not understanding what is going on with her brother suddenly leaving for Japan and her father's death, Suou finds herself caught up in the affairs of Contractors. Season one presented the main story via Hei, while Misaki Kirihara was the narrator for the normal human side of affairs. Kirihara still plays an important role in Gemini of the Meteor, though she does not receive quite as much screen time. Instead, the main story is balanced between Suou and Hei. The former illustrates the difficulties of becoming a contractor and hitting the teenage years at the same time. The latter has become a shadow of his former self, and struggles to help Suou while subsequently trying to rediscover what his own aims are. There's a much more human narrative presented at times. The question of what it means to be human is carried over from season one, taking on two new angles. On the one hand, there is the main character of Suou, who gains Contractor abilities but still retains her human emotions. The other (and at times, more interesting) perspective is that of the doll July, who is shown to grow attached to certain characters over time. July is also the source of some of the best bits of comedy throughout. Subsequently, this second season is more focused and streamlined. It knows exactly where it is going from start to finish, even with the side stories of the Russian military and Section Three being woven into the grand scheme of things. Though there may not be as many Contractors appearing in Gemini of the Meteor, those that do have an important role in the events that unfold. There are hardly any nameless faces to add to the body count. The end of the series attempts to layer complexities that end up coming across as forcibly convoluted. For some reason, the creators of many contemporary science fiction anime seem to feel the need to push things to the level of a series like Neon Genesis Evangelion. 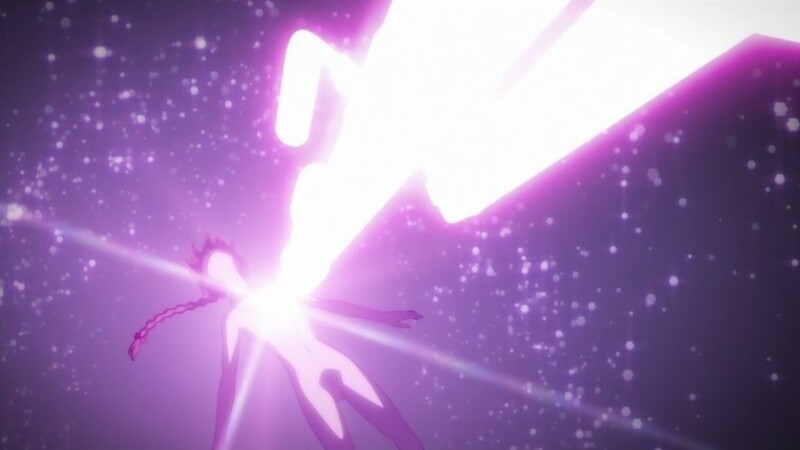 Certainly Evangelion was a game-changer for its day, but trying to up the ante for the sake of having some grandiose conclusion doesn't mean the series will wrap up in the most logical or satisfying manner. The final episodes of Gemini of the Meteor aren't as predictable as in some other series, but they present some of the second season's weakest points, and fail to wrap up a couple of major plot points. Gemini of the Meteor trims much of the fat from the first season. That's not to say there was much in the way of unnecessary material the first time around, but everything feels very streamlined because of it. Thankfully, the series doesn't sacrifice some of its lighter moments because of it. There's still some humor to be found in this generally darker story. The fact that Studio Bones recognized what made the first season so compelling and chose to expand upon it says a lot about their approach to Gemini of the Meteor - it might not be as strong as the original, but it's certainly not a cheap cash-in. A new trailer for Resident Evil: Operation Raccoon City has been released. It provides a brief glimpse at the story of the game, which will seemingly deal not only with the Umbrella squad, but with the USS members who seem to want to help any survivors of the outbreak. Based on the information revelaed thus far, it sounds like Operation Raccoon City will be more action-oriented, not unlike Resident Evil 5. This trailer seems to support that, though is certainly a tense atmosphere with all of the mayhem happening. It will be interesting to see how the whole package unfolds come March. Super Mario 3D Land presents an interesting blend of game mechanics, drawing much of its formula from the New Super Mario Bros. design. But the third-person free-roam portions are akin to Super Mario 64, and the transition between the two makes for a dynamic platforming experience. The story sets up as the classic Mario scenario - Peach has once again been kidnapped by Bowser and it's up to everyone's favorite plumber to save her and stop the Koopa King. The difficulty factor progresses at a fairly consistent rate, though halfway through the main game players will be presented with a handful of levels that are heavy on the puzzle mechanics. That is not to say that these levels are overly challenging, but they do present an interesting change of pace that players will have to accommodate for. There are hidden areas sprinkled throughout the main levels, and players will have to access these if they wish to collect each of the large star coins, which can be used to unlock extra levels. Upon completing the main game, players can access a lineup of bonus levels that present a higher degree of challenge. Three suits will be at players' disposal during their adventure. The Tanooki Suit grants Mario the ability to float for a brief period of time, while the tail can be used for a close-range spin attack. The Fire Flower makes a return, and acts exactly as it has in the past. Its more useful (and subsequently harder-to-come-by) counterpart is the Boomerang Flower, which allows Mario to throw a boomerang to attack enemies and collect coins. The airship sequences that precede each boss encounter require players to stay on the move, as the level shifts along. Each airship level is relatively short, but a couple of foolish moves could cost Mario a life or two. The actual boss fights only present a little variation, and feel very repetitive during the latter hours of the game. Thankfully, the final boss fight with Bowser makes up for this, utilizing the 3D effects in some very creative ways and maintaining an intense atmosphere throughout. The soundtrack is host to a great selection of remixed tunes from past Mario games. There aren't many levels that last too long, but each is designed with plenty of creativity and polish. The game looks great, and feels like the standard by which all future 3DS platformers should be judged. Since I'm still on something of a Legend of Zelda high right now, I figured 'why not go ahead and post a top five list'? Below is a listing of my five favorite Legend of Zelda soundtracks, in order. Their placements on this list are determined primarily by the way the soundtrack influenced the game as a whole, and which soundtracks rank higher or lower on this list do not necessarily reflect the order I rank the games themselves. #5 - A Link to the Past: It might not have the impressive sound quality of the more recent titles, but A Link to the Past boasts what is easily the most impressive soundtrack of the four old-school Zelda games. With tunes like the Dark World theme and the Hyrule Castle theme, it's easy to find yourself immersed in this classic medieval-themed world. The sense of adventure is heightened and the battles seem all the more impressive. A Link to the Past is also host to one of the earliest 'quirky' tunes in the series - as a sort of precursor to the Song of Storms in Ocarina of Time or Kamaro's Dance in Majora's Mask, the Fortune Teller's theme is oddly catchy. The dungeon themes are a little more simplistic and show less variation than in later games, but they certainly carry an eerie, intimidating feel. #4 - Ocarina of Time: While Ocarina of Time is certainly my favorite Zelda game, the soundtrack isn't at the top of the list, though it is still host to a number of great tunes. Though many of the tracks in Ocarina of Time are incredibly catchy, they aren't as complex as the tunes found in many of the other games. Still, there's no denying how atmospheric each of the temple themes are. Hyrule Field and Gerudo Valley's themes get me pumped for exploration and adventure every time I hear them, while the Song of Time's echoing chants serve as strong reminders of the mystical nature of this definitive title. The themes for the final boss fights against Ganondorf and Ganon serve as fitting conclusions to all the action, while the melodies that accompany the end credits provide a bittersweet finale. #3 - The Wind Waker: The first time I heard the prologue music to Wind Waker, I fell in love with it. It was a great way to tie in the past Zelda games with this bold new take on the series. But everything that followed steered away from the familiar, and I found the majority of the soundtrack a perfect marriage to both the art style and the open expanses of the Great Sea. Sure, Dragon Roost Island has a catchy theme. But my personal favorites come from the dungeons and boss fights. On the temple side of things, the Wind Temple and Earth Temple have tracks that utilize instruments unique to the temples' motifs, while blending these with environmental sounds to further engage you in the dungeon-crawling experience. The mini-boss theme is pretty darn cool - almost as cool as the themes for Molgera and Phantom Ganon. Topping it off with the track that plays during Link's final showdown with Ganondorf while the seas crashing in around them is just plain brilliant. #2 - Skyward Sword: This game's opening reminded me of both Wind Waker and A Link to the Past with the way it approached the origins of Skyloft. Where it stood out, though, was the epic nature of the introductory theme. It acted as both a throwback to the familiar and a fresh take on the Zelda formula (story and gameplay mechanics aside). The overworld themes take a somewhat minimalist approach. In Faron Woods, things sound quite upbeat, but they aren't overbearing. In the Lanayru Desert, the songs are comprised largely of rhythmic ambience that is in keeping with the technological motif of the region. Inside the dungeons, songs display themselves more prominently, providing the Earth Temple, Pirate Ship, and Lanayru Mining Facility with their own distinct and individual identities. The song that plays when Link travels through the Gate of Time to reunite with Zelda fuels the emotional drive of the narrative, while Groose's theme and Tubert's theme are perfect examples of the game's more light-hearted moments. The one thing I was not expecting during my playthrough of Skyward Sword was just how grandiose both Ghirahim and Demise's final boss themes would be - spine-tingling in the best way possible. #1 - Majora's Mask: As I've mentioned before, I find Majora's Mask to be a very strange, very disturbing video game. A lot of this due to the direction the story takes, but the art style and soundtrack also play an important role in this. As the days pass, the song that plays in clock town becomes increasingly desperate and ominous, ending with an ethereal tune that embodies failure and the inevitable destruction of Termina . Each of the temples utilizes a dark theme of some sort - in the Great Bay Temple it's the industrial cling-clang, while the Stone Tower Temple combines tribal beats with more refined flute sounds. Ikana Valley bellows out noises that are downright freaky scary. The multiple themes associated with Majora convey a strange balance of evil and chaos, while the fanfare of the Deku Palace maintains somewhat closer ties to the traditional Zelda. Few video games manage to remain so artistically-driven, while at the same time maintaining such a strong narrative. And let's be honest; without the soundtrack, Majora's Mask wouldn't have such a distinct identity. Volt Switch is really freaking annoying move, especially when Pokémon spam it. I was really looking forward to my gym battle with Elesa, but it turned out to be incredibly obnoxious. Despite the fact that her Emolgas and Zebstrika know four moves each, they only seem capable of using that single one. I'm getting a little bit tired of Cheren. It's great that the game presents two rivals, both of whom are your childhood friends and have their own narratives. But I really don't feel the need to face him after every gym battle - he never puts up much of a fight anyways, despite his goal to be the champion of the Unova league. Bianca, on the other hand, shows up to battle less frequently, but has a more interesting story. A scenario where a parent was concerned about their child's safety in the wide open world filled with Pokémon is something fresh. It actually gives me a reason to empathize with her. I do appreciate the fact that the game presents a lot to do, even early on. Also, instead of gradually easing your way into things, the game mixes up trainer battles, gym battles, Team Plasma battles, and sidequests. All of this is tackled in a way that I feel would not be overwhelming to any newcomers to the Pokémon series, but for someone who has blazed similar trails in the past, it's nice to have that element of variety. 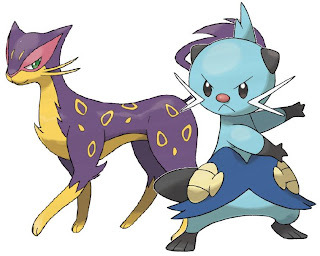 Speaking of Team Plasma, I'm really curious to see where N's story will lead. Despite the grunts being pushovers that spout off cheesy dialogue, Team Plasma is perhaps the most complex of any of the villainous organizations in the series. That is due in no small part to the fact that what they are fighting for isn't exactly a bad thing. Rather, it's their tactics that make them bad guys. I am looking forward to trying out the new triple battles and rotation battles. I've had my fair share of double battles thus far, and I've found them more enjoyable than the few I engaged in throughout Soul Silver, most likely due to the fact that my current team in White Version is much better suited to a team effort. Yup, I got a 3DS. So there will be reviews of 3DS games coming in the near(-ish) future. I probably won't be reviewing a whole lot of 3DS games until Spring/Summer 2012, since that is when many of the titles I want most for the system will be available. Plus I have a few DS games that I'm still working my way through, like Pokémon White and The Legend of Zelda: Spirit Tracks. 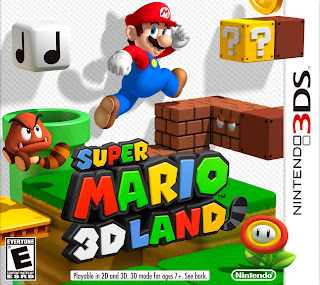 But there will be reviews, starting with Super Mario 3D Land.